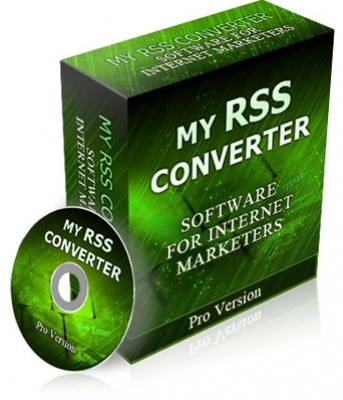 Quickly Convert Your Web Pages Into RSS Feeds That Can Be Imported Into Any Website You Want! Get Fresh Content and Incoming Links For Your Sites For More FREE Search Engine Traffic! Allows you to convert HTML pages that are either online or located on your computer into RSS. All of your old web pages are quickly put into RSS format for distribution! Gets more targeted traffic by syndicating the quality content from your web pages. As a result, your other sites are filled with fresh content search engines love! Increases the amount of people that remember your pages! People can import your RSS feeds into their RSS readers so you get more repeat traffic! Strips HTML tags in order to retain strict RSS syntax with optional 'smart' technology. Your RSS feeds are in a usable format you don't have to touch! Stores unlimited RSS feeds so that you can quickly go back and edit them anytime you want! It only takes seconds to update your RSS feeds with the latest content you want to distribute! Offers the ability to divide your web pages into multiple entries! This means your pages can be separated into readable chunks that people more easily consume! Automatically selects your entry titles based on selected 'start and stop' HTML tags you enter. This means the titles of your entries are going to be relevant so you don't have to edit anything in your RSS feeds to make them readable!